← What Are Tax Sales? Read On. This Saturday, February 16th, channel your inner artist at Painting in the Park. This spring-themed painting class will take place at the Mounds State Park Nature Center from 10a to 12:30p. 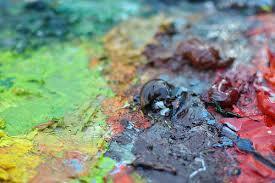 You’ll receive all the materials you need, as well as instruction for the painting and refreshments. This class is for ages 12 and up. The fee is $30 and registration is required. Click here to join the class. This entry was posted in Events and tagged activities, Anderson, creative activities, downtown Anderson, events in Anderson, learn to paint, Madison County, Mounds State Park, paint, painting, painting class, Painting in the Park, things to do, weekend activities. Bookmark the permalink.